Can a piece of cloth be immortalized? Can a wardrobe item be given so much importance that it’s loss kills the owner? And can a story about preparation, possession and subsequent theft of an Overcoat, be so elaborate as to cover almost 20 pages? Yes, it can be. Only if a master writer Nikolai Gogol puts his head and heart into it and crafts a memorable short story. Here, I am talking about one of the most famous short story by Gogol, simply named “The Overcoat” or at times “The Cloak”. It was written way back in 1842 and established Gogol on the highest pedestal of Russian Literature. I first read about Gogol and his Overcoat in Jhumpa Lahiri”s Namesake, where the entire story revolves around the character named Gogol Ganguly and his tryst with destiny owing to the name bestowed by his father. Ever since Namesake, I had been wondering about what real Gogol was like. 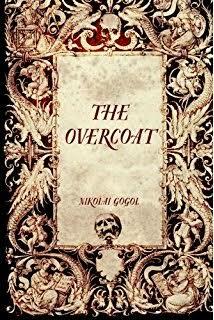 And today, as I stumbled upon Overcoat, while surfing for best short fiction, I knew I couldn’t resist reading. So, here I am, after spending a considerable time with Akaky Akakievich Bashmachkin, being a witness of his hollow existence and the influence a Cloak had on his mood, spirit, life and after-life, ready to share itsy bitsy details of his mundane existence! The Overcoat is the story of Akaky Akakievich Bashmachkin, a clerk in St Pertersburg, whose only job is to copy the documents. Not to add or write anything, but to copy the material handed over to him by his superiors. As mundane a task as it sounds, Akaky is nevertheless proud of being a great copyist, who never makes any mistake. He considers himself a good worker and is quite content with his social standing, which is by the way, zilch! The laidback Akaky is mocked by his colleagues and treated no better than a wall-thorn (he is no flower, mind you!) His non existence seemed to have begun with his birth, when his mother made absolutely no effort in searching for a name and christened him as Akaky Akakievich Bashmachkin, meaning the Son of Akakievich Bashmachkin! This humdrum attitude stamps his entire life. He becomes nothing more than a copy of someone else, be it in his career, life or even after death! The story begins with Akaky being ridiculed for his threadbare overcoat. He puts together money for a few months and tries to strike a deal with the tailor Petrovich. After much hassle, a new overcoat gets ready and Akaky proudly wears it to the office. And sure enough, it garners much attention by his colleagues and all of a sudden, Akaky’s status is elevated to being the centre of attention from a nobody! As ridiculous as it may sound, a party is thrown by one of his seniors to honor and celebrate the superior Overcoat! But the robe is of such superior quality that the highway thieves, attack Akaky while returning late from the party and rob him of his Overcoat! I am sure, you must have guessed by now that the piece of clothing is way more important than the person who donned it. Call it Gogol’s masterstroke in underlining the superficiality of human beings or call it a perfect satirical attack on the materialistic mentality of society, it is brilliantly executed. Overcoat had become a symbol and vehicle for vanity, pride and self respect for Akaky. And sure enough, he loses the very zeal to live, when he is robbed of his precious possession. His death is as sudden and trivial as was his birth. He becomes a victim of a superior’s callous, harsh behavior and dies after suffering a small bout of fever. But after death, he exacts a fitting revenge on the society, by becoming a ghost, who robs Overcoat from others! Must say that symbolism and hyperbole, are used with a finesse in this story. Simple things are given so much importance that they become lively and replace the human. 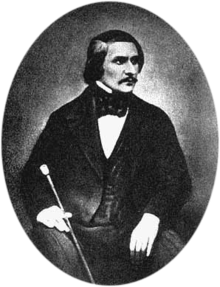 Though emotions have no place in Gogol’s world. He acts as a ruthless writer, exposing the vain superficial attitude of society, where nonliving materials are placed at a higher pedestal than the live human. It’s only in death that Akakiy commands attention, rather fear of ghost invokes more interest in his existence than the copying job, he carried out diligently. Overcoat or Cloak as it is sometimes called, is a story in layers. Hidden beneath the garb of a funny story, is the tragic account of a person, considered worthless by everyone. Akaky becomes immortal in the deft hands of Nikolai Gogol and even if you read nothing else from his pen, the author would remain with you for a long long time. A great piece of fiction indeed!